Anxiety and panic attacks are psychologically painful, still, they are a normal part of life for someone with chronic anxiety. This mental health disorder categorized by an emotional state of constant worry, anxiety or fear can be severe enough to hinder one's daily activities and occasionally get out of hand, resulting in a panic attack. Anxiety does not have to control your whole life. Remember that it only takes three very short minutes for the adrenal glands to create an adrenal response, therefore it can take three minutes to stop the adrenal reaction if you are prepared, and stopping that adrenaline rush can be a huge part of preventing an anxiety attack. Here are a few ways to help combat these symptoms or at least prepare to better deal with them. If you suffer from anxiety, you know that at some point you will have a panic attack. So, prepare for it, accept it when it happens and have a game plan ready and know what to do to help yourself through it. Remember that this condition originates in the mind, therefore it is vital to be cognizant of your thoughts, and practice calming techniques to change these thoughts when it feels like they might let you loose control or result in a panic attack. You can also keep a small kit with you, of items that help calm you down, like anti-anxiety medication, a stress ball, water, elastic bands, a notebook to scribble in and so on. During stages of panic the body gets overwhelmed and can overheat. Taking a cold shower will close up the pores on the skin, cool down your body temperature, calm your overdriven senses and allow your heart rate to return to normal. Using calming scents of essential oils in your bath, on your pillow and scented candles in your environment, will greatly aid in your relaxation and to calm potential episodes. Choose scents like geranium, chamomile, frankincense, lavender, rose, vanilla or lemongrass to soothe you. If you don't have a good supplier of essential oils, iHerb.com (an online vitamin store that I love) has a huge range of essential oils available. Their shipping and prices are very reasonable too. You can get 10% off your first order by clicking on this link if you're interested in checking them out. When your worries and thoughts of fear are getting the better of you, phone a friend or family member and talk to them about what is worrying you. Getting a second opinion from someone that cares about you, and is ready to help, can do a world of good by putting things into perspective for you. Everyone has a favorite playlist. Some of us even allocate them according to our moods. Listening to music that we love has a positive effect on our brain and neurotransmitters. So, do that for yourself too, create a playlist on your phone of music that will keep you calm and relaxed specifically when you feel stressed and in a position where an attack could be imminent. A great way to detract from what’s going on (when feeling the approach of an anxiety attack), is first to remove yourself from crowded and stressful environments, if you can. Walk somewhere quiet, like an empty office or conference room if you are at work, for example. Watch an interesting video, listen to a podcast of your favorite speaker, count to 100 out loud, or do a few pushups to get the blood flowing away from your already overstimulated brain. Oxygenating your cells, blood and brain is very important not just for your entire welfare but also to help calm down anxiety episodes. As you breathe in focus on letting your stomach rise first and then your chest. This will ensure you get the most air into your lungs as possible. You can do this exercise anytime, anywhere, when shopping, sitting at your desk or lying in bed. You must sleep well every night, so your body can be best equipped to deal with everyday life. That means you need to get into a routine that has you in bed by a specific time each day. This will teach your body to know when ‘shut-down’ time will begin every day. Your body will naturally fall into a sleep rhythm. If all else fails, try natural sleep aids like melatonin, chamomile teas and the like to help you fall asleep quickly and stay asleep for longer. 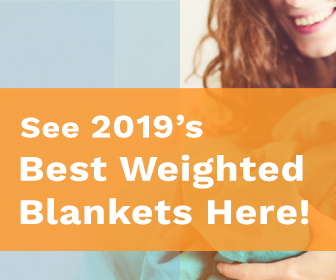 I couldn't resist to add this here: get a weighted blanket, seriously, get under your heavy blanket for 20 minutes, and feel comfortable and quiet and grab a great night of sleep. Finding a sport or exercise routine is a great way to burn off some steam when you feel that things are getting too heavy for you. Not only is it a great way to stay in shape and keep fit, but it also helps focus your mind. I had a trainer once who loved to say, ‘a healthy body is a part of a strong mind’, and that is quite true. Sports like kickboxing, mixed martial arts, swimming, aqua aerobics, running, horse-riding, and walks in nature are my top choices, as they teach discipline and self-control. Taking care of yourself constantly is a great idea. The human body requires a lot of maintenance, and when we give extra pamper to it, it’s grateful for it. Taking time out to go get your hair done or have a facial, massage, or pedicure is a vital part in staying healthy and feeling more comfortable with yourself. Also, having therapy like reflexology and acupressure massage regularly, will help re-align energies in the body, break down muscle spasms and acid build up, and aid in complete relaxation. Being responsible for someone other than yourself can greatly shift the focus of your attention and your panic attacks. Adopting an animal or, even better; getting a service animal, can help you take control of your surroundings by focusing your energy on the animal that loves you. That unconditional love and devotion between a human and their animal, also releases endorphins in the brain that help improve your mood, and make you feel good. There’s also a bonus you can take here; you could help save a life if you adopt your new friend from the animal shelter. Ever heard of the saying; “you are what you eat”. Well it’s quite true considering that what you put in your body will affect your skin, glucose and insulin responses, moods, feed your bones, muscle tissue and so on. Therefore, it’ll be very significant to cut out high energy and stimulant rich foods and drinks like energy drinks, energy bars, protein bars, high fructose corn syrup, anything containing sugar, carbonated drinks, and packaged or processed foods. You must eat as organic as possible this will give your body the best nourishment possible to stay healthy and on top of your game. Also, don’t eat late at night. This could keep you up or give you nightmares depending on what you eat. Though there are many more ways to manage a panic attack, but these are my top choices, and some of the most popular all over the internet. The most important thing here is to keep yourself healthy, and focused on what is real. Stay in the present with your thoughts and let the future take care of itself. It always has and always will.